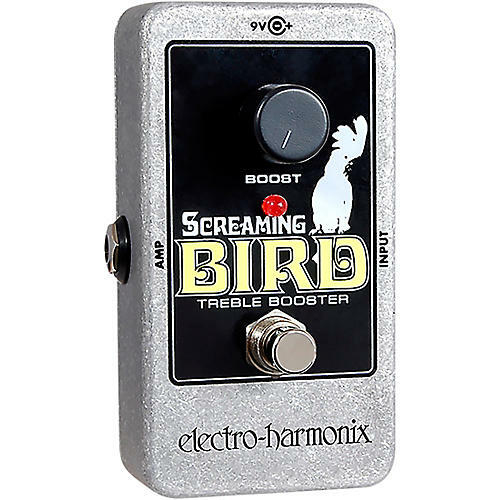 The Electro-Harmonix Screaming Bird Treble Booster guitar pedal is based on the classic design from the '70s. Now the boost effect is back to help your sound take new flight. Whether it's overdriving an amp or just adding some serious bite to your sound, the Screaming Bird stompbox screams nothing but highs. Use the Electro-Harmonix Screaming Bird Treble Booster to make your guitar cut through any mix. One year warranty on pedals. 90 day warranty on all other products.